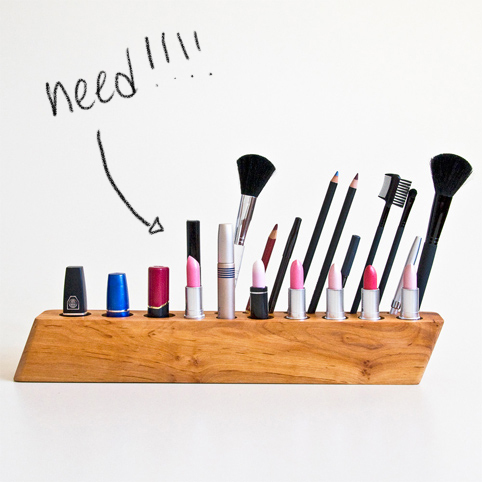 How cool is this makeup organizer from Less is More?? This Austrian company designs really interesting and simple organization systems, mostly out of wood (which I am of course a huge fan of). I likely wouldn't be leaving my lipsticks open like that but overall it would look great on a vanity or desk! Check out the rest of their online store here.